My hearth is especially warm today. 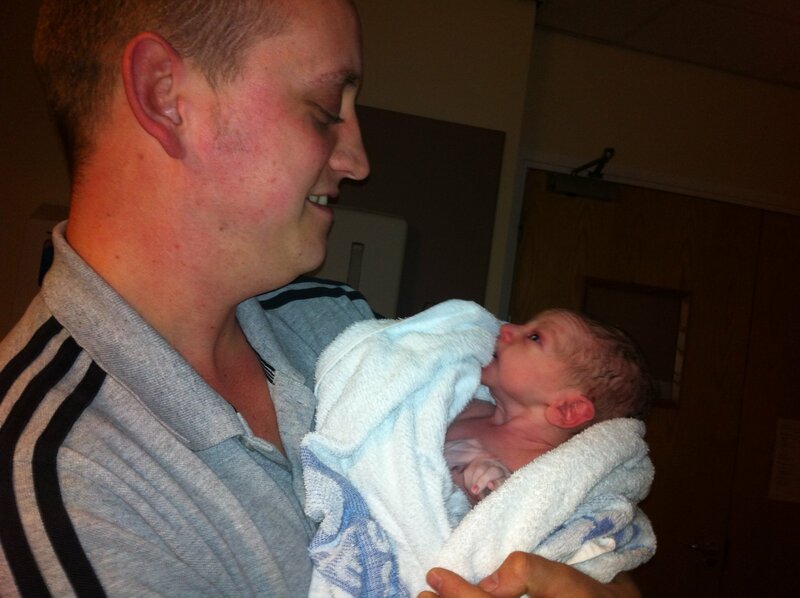 Last night at 11.45pm my first grandson made his entrance into this world. Of course he’s the most gorgeous baby since I had my sons! So I’m travelling north tomorrow to meet him, hug my son and daughter-in-law and join the family celebrations. They’ve waited for three years for this moment and I’m ecstatic for them. So I won’t be able to post for a few days, but I’m sure you’ll understand! Here’s the first photo of him with my very proud and happy son. Their lifestyle is about to change! This entry was posted in lifestyle and tagged baby, celebration, family, home, lifestyle, newborn, people. Bookmark the permalink. Thanks so much. We’re thrilled and he’s gorgeous!